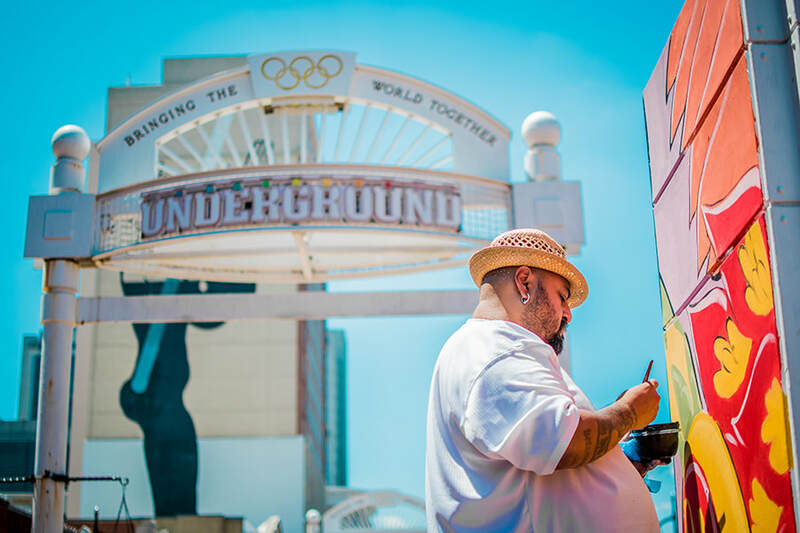 DTM most recently finished a mural installation at Underground Atlanta with his flavor of culture: Azteca Moderno. He likes sharing his art biz knowledge gained through experience and observation, plus a few mentors along the way. DTM is a 20 year art life veteran working in 2D with digital and traditional mediums for illustrations and art installations working with brands like Coca Cola, McDonalds, GA Tech, Emory and Newell Brands. He has 6 years as Adobe User Group Organizer in ATL, is a Adobe Campus Leader and double Microsoft Insider as a working Illustrator and Windows 10 development user. This class is designed to get you up and running with Adobe Illustrator. The focus will be on step-by-step instruction leading students through the most important tools and concepts in Illustrator. This is an introductory course designed for first time and beginning Illustrator users. No prior experience with Illustrator is required for this class. You will need to have Adobe Illustrator already downloaded on this laptop for the start of class. The free 30-day trial version of it can be found at http://www.adobe.com/products/illustrator.